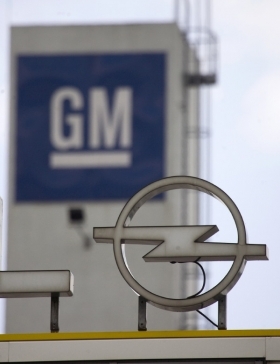 GM wants 3B euros from European governments. BRUSSELS (Reuters) -- General Motors Co.'s decision to keep its European unit Opel will benefit European taxpayers, especially in Britain, Germany and Spain, British Business Secretary Peter Mandelson said on Thursday. He said he believed workers at GM's Vauxhall unit in Britain would prefer to keep the same management rather than have new owners, but gave no details of how the restructuring of the company would be financed. A spokeswoman for Britain's Department for Business said in London that Mandelson held "constructive" phone conversations on Wednesday with GM CEO Fritz Henderson and with German Economy Minister Rainer Bruederle. She said Mandelson wanted "early sight" of a GM business plan for its European operations. GM scrapped plans on Tuesday to sell Opel, including its British Vauxhall plants, to a group led by Canadian supplier Magna International Inc.
"Now this is creating uncertainty and some fresh fears amongst Opel and Vauxhall workers," Mandelson told Brussels-based reporters in a video link-up from London. "On the other hand, it will be a significantly less costly deal for European taxpayers, notably German, British and Spanish taxpayers." Germany had seen Magna and Russian partner Sberbank as most likely to preserve as many German jobs and plants as possible. Countries with Opel plants including Germany, Britain, Spain and Belgium were originally expected to provide aid for the rescue of loss-making Opel. GM said it expected restructuring Opel on its own would cost about 3 billion euros. "I think our own Vauxhall workforce would prefer to keep with the management they know rather than take a chance with a management that they don't," Mandelson said. "But whatever happens, we must see an appropriate, commercially based judgment being applied to redundancies which will take place in the context of restructuring," he said. Mandelson said on Wednesday he wanted talks soon with GM on its plans for the business and how they will affect British plants and workers. Vauxhall employs about 5,500 people. He called on Thursday for "a fair balance amongst those (EU) member state governments that will be underwriting the company financially, and that, of course, is something that we have yet to discuss amongst ourselves and with the GM management." The spokeswoman for Mandelson's department said she could give no estimate of potential job losses at the British plants, but said: "Everyone understands and accepts the need for some rationalization within Europe, including the unions."